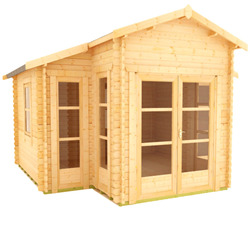 Find out more about our Contemporary Log Cabins range. 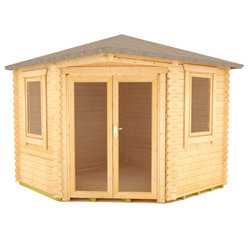 Designed to be both simple and modern our contemporary log cabins made with chamfered notches increasing the strength and ease of construction. Along with their functionality each building offers increased space allowing as much light in as possible. It will soon become an extension of your home. With a number of bespoke options we take pride in having the ability to work closely with our customers to manufacture the perfect building.